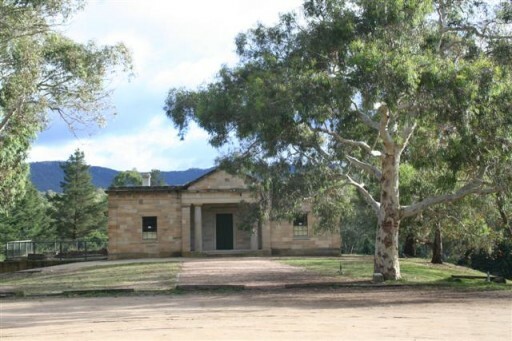 Its amazing how many people get nervous about getting lost driving to Jenolan. The way is very well signposted and with personal navigation devices its more or less impossible to get lost. Some landmarks to reassure you. 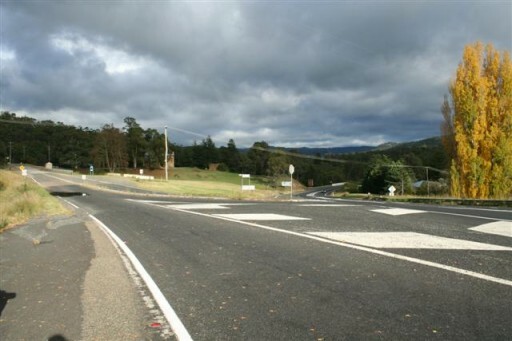 Most people approach Jenolan by driving from Sydney. In general we find the people who get most nervous they are going to get lost are also coming from Sydney. To reassure you that you aren't lost here are some photos approaching the only significant turnoff you have to concern yourself with. 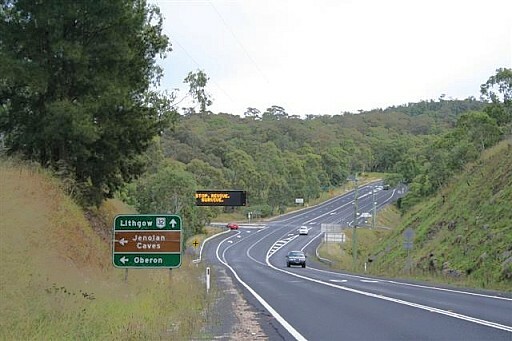 The easiest way to get to Jenolan is to get on the M4. Travel along this and across the Nepean River where shortly after it turns into the Great Western Highway. You don't have to make any turns - the road name just changes - you keep driving straight ahead. The highway takes you across the Blue Mountains. 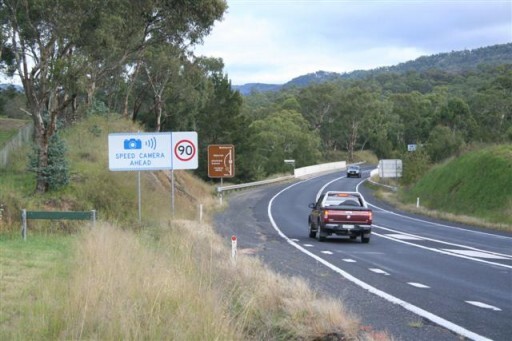 Expect to be driving for about 75 minutes after you pass through Penrith. No turns to make so just enjoy the drive. Finally you reach Hartley. You have to turn left here. For many people this seems scary as though they are about to vanish off the face of the earth. These people are what we in the industry call wimps. Please don't be a wimp - be brave because once you make this turn the road leads you all the way to Jenolan, right to the car park in fact! You will have passed a few small shops and finally you will encounter an overtaking lane. We now pick up the blow by blow description of your journey. See the brown sign? 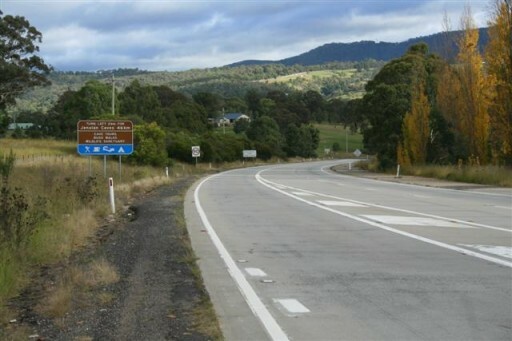 Its telling you the turnoff to Jenolan is 4.4km away so you have plenty of warning. This is the turnoff to the township of Hartley. You want to go straight ahead (the road veering to the right).